A beautiful getaway in Italy who do not dream? A residence Dolce Vita, a gondola ride in Venice or the beautiful streets of Rome, have a drink and enjoy the sun and sea to the south and enjoy the wonderful setting of Tuscany this is what awaits you and more in the birthplace of the Roman Empire. Known for its sandy beaches, its resorts of southern Italy is a popular destination. Among the most beautiful cities in this part of Italy, there Naples, a rich city with a history and heritage point of view. Two thousand years of history, estate crops, a wonderful climate, extremely expressive and friendly inhabitants and a magnificent golf course that attracted more than one. One thing is certain, Naples does not leave you indifferent. Then, towards Salerno with its fascinating history and its green and very pleasant kind; Apennines, bays, rivers bordered by a restful greenery, beautiful little villages, the sea breeze and more refreshing. In short a beautiful place to live. Finally, a haven of peace, a corner away from the modernity of the stress and noise, Basilicata Potenza and its capital located between Calabria and Puglia. With its colors, flavors and fragrances your senses will be spoiled. The forests and mountains of sight, the Lakes Monticchio sensational and Piccolo Lago Grande and the beautiful water ice and do not forget the beautiful Basilicata is surrounded by two seas Tyrrhenian and Ionian giving it even more charming and pure and fresh air. A pure sea, fresh air, full of beautiful islands and also as charming as each other and scenery breathtaking, this is what you propose the most beautiful cities of the Tyrrhenian Sea. First indomitable Capri, this magnificent work of mother nature, sculpted by the wind, it is a striking natural beauty. With its famous faraglioni rocks the midst of the sea, its many caves such as the famous Grotta Azzurra, its Roman ruins, its highest gardens colorful and beautiful craft shops, Capri is a gem that will seduce you and you will score. 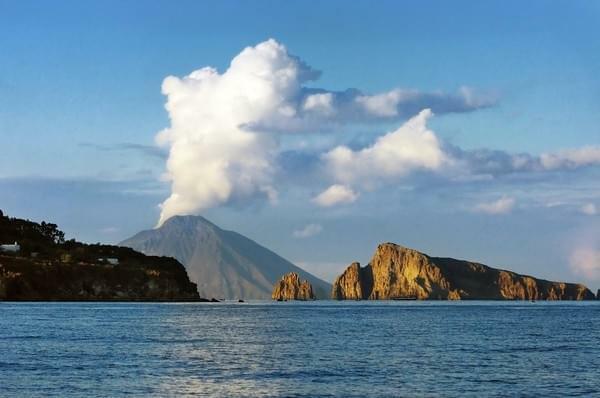 Then the largest of the Aeolian Islands Lipari management. As you are walking you can admire the fortified castle of the island, the ancient Acropolis, the impressive and beautiful cathedral St. Bartholomew to visit. Among the must Lipari we Place on the Marina Corta, the Marina Lunga, pumice quarries of Porticello & hellip; without forgetting that the views of the island Salina Island Volcano and the Vulcano and Vulcanello volcanoes or from the Belvedere of Quattrocchi are beautiful and breathtaking. After, head to the beautiful Latina with its splendid beaches and marvelous villages, it is a destination immensely popular. Natural areas, parks, mountains, plains and the lakes, much greenery and natural landscapes that will make you much pleasure. We recommend, however, the Circeo National Park extending over more than 8,000 hectares and in which landscapes and animal species are very varied. Other cities of the Tyrrhenian Sea deserve detours as Livorno majestic Ponza. o throw a coin in the famous Trevi Fountain if you want to return to Rome. Then, towards the city of lovers, romantic Venice, of all times, this beautiful city seduced and seduce again and again. From St. Mark's Square to the Rialto Bridge via the Bridge of Sighs, the Doges Palace or Santa Maria Della Salute, Venice will amaze you and you will score. Now we head to the capital of art, the city geniuses beautiful Florence. You will appreciate its beautiful and tranquil gardens, Boboli, simple, delle Rose & hellip; its beautiful fountains such as del Bacchino or del Carciofo or churches, monuments and bridges that make its charm and were the muse of many great artists such as Michelangelo and Botticelli. Do not forget the city of Romeo and Juliet, the beautiful Verona, feel free to stroll through its narrow pedestrian streets to Juliet empty sarcophagus. The 2000 years of history Verona left behind a set of monuments and mansions in unheard charm. Finally, many other cities worth a visit and you will score also by their beauty and charm as Naples, Ancona, Pisa and its famous leaning tower, Capri, Milan or Turin. Sicily, the largest island in the Mediterranean is a cultural heritage, but also a wealth of natural outstanding. Let's start with the location manager and the largest city in Sicily, Palermo. Testimonies and traces of several cultures enrich this beautiful city: architectural masterpieces, churches, Palace of the Normans, Piazza Olivella, Temple of Segesta, the beautiful Palatine Chapel & hellip; will amaze you. Do not forget to take a look at the highest volcano in Europe Etna. Southeastern side of Sicily you will find the beautiful Siracusa, one of the most beautiful cities of the island with its impressive historic city center, the city offers stunning views of the sea. Take a walk through the archaeological park of the city where you'll find plenty of historic buildings and magnificent Greek theater, not to mention the catacombs. Then, towards Taormina this charming town, a popular destination, you'll get one of the most stunning views of Mount Etna and the sea. While on the southwest coast awaits the work of the Greeks the most beautiful deadly cities as the poet Pindar, the charming Agrigento where you will find the famous Valley of the Temples witness the climax of the Greek and the archaeological Museum with one of the most important collections. Finally, do not forget Lentin, Adrano, Marsala, Acireale, & hellip;. Highly prized for its beautiful golden beaches, seaside resorts and beautiful villages, Sardinia is a beautiful island of the Mediterranean sea that charms and seduces throughout the year. It is divided into eight provinces as attractive as each other. We first start with the beautiful Cagliari, the capital of the island. Romans, Byzantines, Spanish, & hellip; all left their traces forming a wonderful mix. The scenery is beautiful and stay promises to be enjoyable. Then out of the Carthaginians, the happy city Olbia on the Costa Smeralda in Sardinia is a must, its charm is breathtaking. Moreover, Santa Teresa Gallura located in northern Sardinia facing Corsica offers beautiful beaches, headlands offering spectacular views and a delightful festive atmosphere. If you want to enjoy crystal clear water and sunbathe on white sand go for the pretty Ogliastra. Do not forget the beautiful Alghero with its magnificent monuments, its beautiful beaches and its striking history or Sasssari where you can enjoy its festivals like running horses Cavalcata Sarda if you go in May or the famous procession of 15 August. Finally, we recommend the trenino verde, a green train and a nice way to visit Sardinia. A couple of kilometers from hot sand at the edge of the Adriatic Sea is the beautiful Rimini. In the center of the city the Ark of the Emperor Augustus marking the intersection of the Via Flaminia and the Via Emilia, monuments to loss of sight; Roman amphitheater, murals of the church of Sant'Agostino, Arengo Palace, & hellip; birthplace of Federico Fellini, Rimini is not only the beautiful beaches to entice you it also has a long and beautiful story to tell. Always on the Adriatic Coast, Riccione is a must see destination. Beautiful beaches, water sports, breathtaking gardens, the setting is beautiful and quiet is guaranteed. At night, the city does not sleep, on the contrary, it is very much alive. Crowds in the shopping streets, open shops, shows and music until dawn. Do not forget Ravenna, also along the Adriatic Sea, a paradise of unparalleled beauty. Mosaics, majestic monuments, pine forests and a dozen kilometers of beaches. Let's move from the side of the Ligurian Riviera, where you can enjoy the golden sands of Portofino, very popular with divers for its rocky coast. You will be charmed by its small fishing ports so authentic and beautiful wooded headland and views that will be offered to your eyes are stunning. Do not forget to visit the small village of Camogli which fortunately has kept its authenticity, traditions and beautiful colors. Finally, near the Tuscan Riviera, enjoy Viareggio for its natural resources and breathtaking panoramas without forgetting the many events and festivities that make your stay unforgettable. In summer Italy is radiant. A perfect destination for young and old, for idleness or discovery and walks. Everyone will find happiness in summer. First the beautiful Venice and long gondola rides. This city will never cease to amaze you, full of surprises and mysteries, charm and enchantment, it attracts and seduces. Then we Viareggio, an elegant city belonging to the Versilia coast. You await amusement centers, nightclubs, magnificent colorful landscapes and sunsets breathtaking. The bewitching Florence is obviously to see and review. It has the largest number of buildings in the Renaissance world and natural landscapes of the most beautiful. Here you will find the greatest masterpieces that humanity has known. Also, the Salento area is a must see. Friendly and charming, the heel of the Italian boot will please fans of monuments and history can visit the main city Lecce, Otranto or Galatina. For a good swim in this beautiful region opt for the coast of Salento or so Santa Maria, Porto Selvaggio and Porto Casareo. Finally, do not forget the beautiful golden beaches of Sicily and Sardinia with their resorts and beautiful landscapes. In Italy, the villages do not lack charm, quite the contrary their beauty is breathtaking. First, Portofino is the most beautiful villages in the sea, it is on the south coast. Do not miss the harbor surrounded by rocks. Then, still on the south coast you will find the most beautiful and also the smallest inhabited island of all the Pontine islands, the beautiful island of Ventotene. To the west and specifically in Sardinia, is a beautiful village, Alghero. Called "the fortress-like city" saw its architecture inspired by the military structures and work of the Doria family of Genoa. Wine lovers, do not miss this wonderful Barolo village nestled on hilltops in the Piedmont region known worldwide for its excellent wine AOC label. In Lake Maggiore, you will find the island Isola Bella that bears his name to perfection, do not forget to take a look at the affability of the Borromeo family and its beautiful gardens. Other impressive palaces are located in Tropea in the beautiful region of Calabria, at the seaside in the south, you will be charmed by its narrow streets dating back over 3000 years. Finally, the inevitable this charming island Burano near Venice known for its beautiful lace and especially its beautiful colored houses lining the canals. Other villages are a must see as the village of Opi where you will discover the famous Abruzzo National Park, the town of Giovinazzo Palmanova the ancient fortress or Malcesine with its beautiful castle and magnificent cypress trees. Naples is known for Vesuvius, Pompeii, the Amalfi coast a few cables but also a treasure of Baroque art. You have to visit the Royal Palace and the Theater of the city to enjoy this art in all its splendor. also take the time of day to embark on one of the many ferries from the port to visit the beautiful islands of Capri and Ischia. The capital of Tuscany beautiful at all times, is a city of art and culture. Its artistic heritage is unique. The Uffizi Gallery is full of pictorial treasures. There are major works of Botticelli, Michelangelo angel and Leonardo da Vinci. It is also in Florence and thanks to Dante there appeared Italian. Petrarch and Boccaccio studies have been written there. The stay in the capital can be more economical than in other cities of Italy. Just choose a low-cost airline and accommodation ended last minute. Please note however that there is a fairly significant tourist tax at hotels. The cheapest type of accommodation remains the rent in private homes. The downtown hostels are also very affordable and even offer private rooms for two or four people. Italy would not be what it is without Venice and its gondolas. If you wish to attend the famous Carnival in February / March, do not book a ticket last minute because you will pay the price of gold. On the contrary, already book your flight and accommodation at the end of the season before to get the best price. For housing, prefer to book a B & B that will cost you cheaper than a hotel. In addition, you will find charming accommodations and can experience the typical life of this city so beautiful and secret at a time.